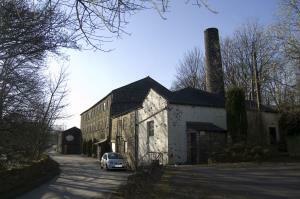 Ponden Mill01535 643923work Touring & Camping ParkAt Ponden Mill you can camp along the river Worth, have coffee in our café, or just hike through forest, waterfalls, and the nearby Pennine way. All the Bronte sites like Top Withens (Wuthering Heights) are easily accessible by foot and Haworth itself is only a mile away. We are currently open for both Caravans and Tents. We have Shower facilities, toilets, drinking water, along with waste disposal points. Most of our pitches are along the river worth and have stunning views. Electrical hook-ups are available but they are limited in number. We will be opening a Café in the summer of 2015 to serve cakes and coffee, but there is also a pub (The Old silent Inn) within 5 minutes walking distance that serves excellent food and drink. Ponden is easily accessible to cars and motorhomes coming from Haworth, and if you are coming by foot then Ponden also has a regular bus service.